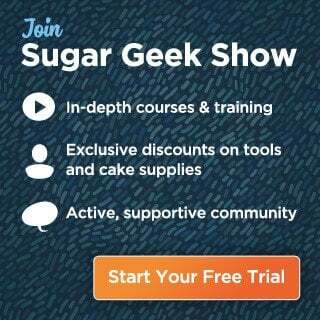 This website and its contents are the copyright of Sugar Geek Show – © 2014-2018. All rights reserved. Self Proclaimed Foodie does not allow for its original recipes and pictures to be reproduced anywhere other than at this site unless authorization is given at the time of sharing (such as on sites like foodgawker) and on social media platforms (like Facebook and Twitter). If my recipe or tutorial inspired you to make your own version, please reference my recipe or tutorial and provide a link to it in your post. I would love for you to share if one of my recipes has inspired you, but if you do that I expect proper credit be sent back to me. Some of my favorite recipes are inspired by other blogs, but I am always thorough in referencing them to show my love. Thanks for doing the same.